Great for those who love the outdoors, this Arctic Zone 36 Can Collapsible Cooler features a Realtree® camo exterior and an interior with high density thermal insulation and Ultra Safe® leak proof, easy clean lining. The exterior also has a large zippered pocket to hold extras like napkins, cutlery and cell phone as well as an adjustable Backsaver® shoulder strap with shoulder pad that centers load weight to reduce muscle stress. When you’re done, the cooler folds flat for easy storage. 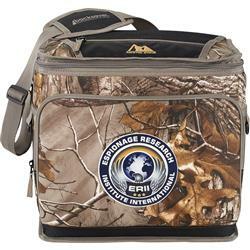 This cooler is great for speaker and holiday gifts as well as anyone who loves outdoor adventures! 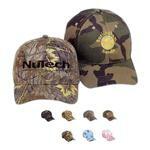 The in style camo look will keep your food and drink disguised!